Ibiza's hippie-chic spirit has been, for ages, the chosen hideaway for artists, creatives, and musicians. 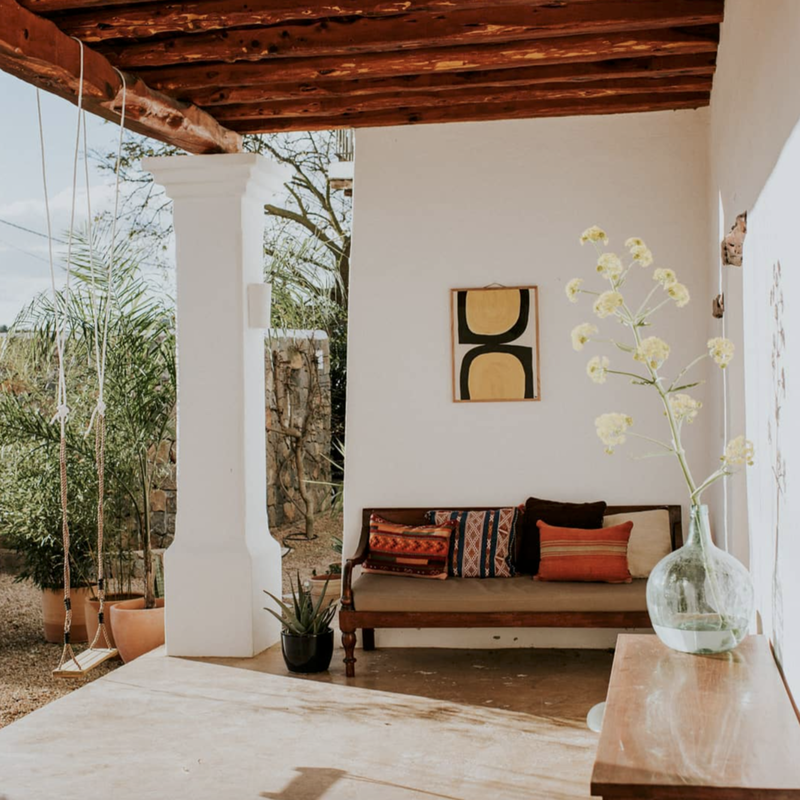 Maya Boyd, author of Ibiza Bohemia describes the Island as "a place to reinvent oneself, to walk the fine line between civilization and wilderness, and to discover bliss", and we couldn't agree more, Ibiza changes you. For the next month, while we get lost in this island, we will show you our discoveries & finds, hoping you get inspired to book a ticket and get out of town for a while! We encourage to respect the island, be responsible and conscious and take care of this magical place. It's a building in Ibiza with a beautiful view. Nine rooms, a restaurant, a store, a beach bar, a place to hang out and be happy. Ibiza Bohemia's stylist house is also available for rental. Laidback luxury in the countryside of Ibiza, a hideaway for lovers for design and nature. Traveling far and wide for work and pleasure, Natalia found herself writing long Word docs full of tips and hot-spots of each city she visited, and sharing them with her friends. With an insatiable desire to travel the world and an obsession with hotels, she founded Hôtel Weekend in 2017, as a way to share an unique vision of each city, all while enjoying the #robelife. Her mantra: Be a traveler, not a tourist.